April 2016. Singer, songwriter and guitarist, Mélissa Laveaux heads to Haiti in search of her roots and on a mission to honour her ancestors. Two decades have gone by since she last set foot on the island when she was 12 years old. She feels like a stranger and yet, at the same time, she experiences the thrill of an exile returning home, for Haiti is an intrinsic part of her identity. 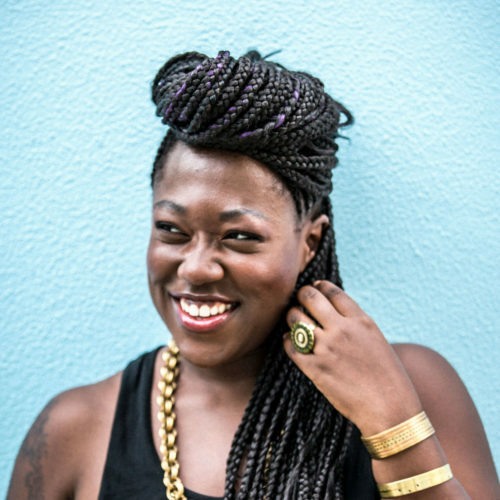 Born in Canada to Haitian parents and armed with a patched-together vocabulary of Creole from the metaphor-laden expressions and vibrant catch-phrases she’s heard her mother trade with her aunts over long-distance phone calls, she doesn’t know what will emerge musically from her pilgrimage. But as she dives in and discovers the folk songs that bred and nourished Haitians artists for generations, she is seduced by the depth and opulence of her extraordinary heritage. She returned home from Haiti with a head full of sounds, melodies, moods and stories of distant times, as a track-list emerged, rich in the multi-layered allegories and symbolism that are characteristic of Haitian poetry and song, like a coded language of resistance. On arrival in the Haitian capital Port-au-Prince, ringing strongly in her ears was the voice of Martha Jean-Claude, a legendary Haitian singer-songwriter whose records had provided the Caribbean soundtrack to Mélissa’s childhood, spent in crisp Ottawa winters. Imprisoned for the militancy of her songs and then forced to leave her native island for Cuba in the 1950s, Martha Jean-Claude spent 34 years longingly singing Haitian songs in exile, keeping alive the folklore and memories of her beloved home. Although there were considerable differences in their experience of expatriation, there was enough in common for Mélissa to feel an affinity andfor Martha Jean-Claude to become a constant presence in her dreams of her ancestral home. Her initial thought was that Radyo Siwèl might become a covers album of Martha Jean-Claude’s songs. Yet once in Haiti, the project grew in scope and ambition. At a cultural centre in Port-au-Prince, she was given access to a treasure trove of recordings and notebooks containing old songs that, like the many pieces of a scattered, yet vivid folk memory, have been regularly reinvented over Haiti’s tortuous history. One particular episode of this history caught Mélissa’s attention: the American occupation of the island between 1915 and 1934. Dark days, during which the first Black Republic – which had emancipated itself from slavery and proudly seized its independence from the French – was once more tormented by the oppressive presence of a new and unwanted colonial power. Popular songs became weapons of resistance once more, enlivened and reinterpreted by a new generation, making sense of hard times. Inextricably intertwined with the spirit of resistance was the presence of vodouand its many loas, or divinities, who were summoned to protect the Haitian people and to aid in the fight against their oppressors. It was during these dark years that both Martha Jean-Claude and Emerante de Pradines, another legendary Haitian singer, were born. Both recorded ‘’Dodo Titit’’, a traditional Haitian lullaby, which Mélissa covered on her first album, Camphor & Copper a decade ago. In its way, ‘’Dodo Titit’’ was the first bud on the mature tree with its roots deep in Haitian soul that is now Radyo Siwèl. The songs and stories on the album are the mature fruit on that tree, named after the island’s hog plums known in creole as the siwèl. Some of the songs are so old, nobody knows who wrote them, as they were spread by itinerant troubadours and the rural orchestras, known as Bann’Siwel, which peddled the songs from village to village. Draping them in an indie rock aesthetic, Mélissa’s reinterprets Haitian heritage, taking traditional tunes, vodou anthems and scraps and phrases discovered in old songbooks, and sewing them together like a patchwork of intersecting identities. 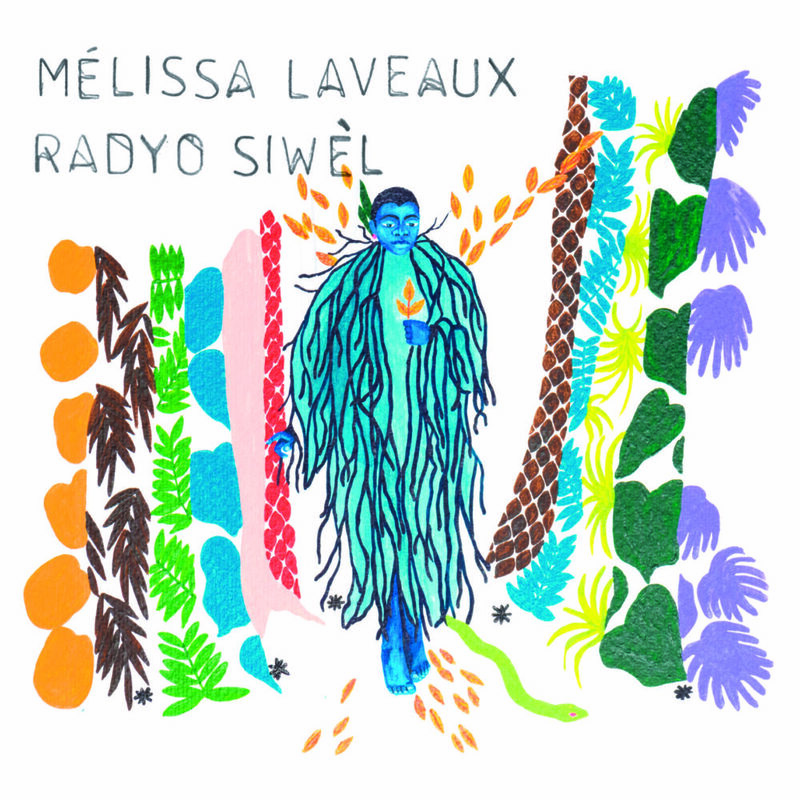 Recorded over just five days and mixed as the tracks were beinglaid down, Mélissa’s distinctive voice and sinuous guitar playing are burnished further by the shining presence on guitar and cuatro of Drew Gonsalves, leader of Trinidadian band Kobo Town, and the sound is given a dramatic, live feel by the French production team A.L.B.E.R.T. In exile, the call of Haiti’s cultural heritage had sounded to Mélissa like a veiled voice coming from an out-of-range radio. Once there, she tuned in the receiver, filled in the blanks to honour struggles past and then re-imagined them, to open up a future of new possibilities. It’s a fairy-tale still looking for a happy ending. But Radyo Siwèl is where a proud but often tragic past meets the promise of a better future.